This document (“Privacy Notice”), in combination with the Cookies Policy and Competition rules make up our commitment to protecting personal information we hold about our customers, prospective customers, newsletter subscribers, competition entrants, website users or any other data subject whose personal information we hold. Personal information as outlined in this policy is being processed by JUNO Publishing Ltd (“we”, “our”, “us”, “JUNO Publishing” and JUNO Magazine). If you would like further information about the specific mechanism, used by us when transferring your personal data out of the EU please contact us. JUNO Publishing Ltd (company number 05447122), registered office at The Elms, Upper Tockington Road, Tockington Bristol, BS32 4LQ) publishes JUNO Magazine and holds the Trademark JUNO relating to magazines within the EU. The Mother Magazine is owned by JUNO Publishing but is not currently published. Personal data means any information that can identify you as an individual, such as your name and postal address. Pseudonymous data doesn’t identify you as a person but it might be used in aggregate, for instance when you participate in a survey or when we analyse audience interaction with our products and services. If you are the parent or guardian of a child under 13 (“Child” or “Children”), and have provided us with information belonging to a Child, then alongside the Child’s data provided, we may also process limited personal data about you, so we can record your consent to store, process and use this information about the Child to fulfil the service you have purchased or signed up to on their behalf. 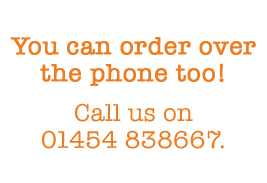 We may use your contact details to communicate with you about the Child’s use of these products or services. We will never knowingly send marketing communications to a Child under the age of 13. If you believe we have collected personal information about your Child without your consent, you may contact us and request that we remove information about your Child. We may use the details you share with us to send you offers and promotions by email, post, telephone or SMS wherever we have legitimate interest grounds to do so and where you have not objected. We will provide a way for you to opt-out of receiving marketing promotions both at the time of data capture and everytime we contact you thereafter. You can also contact us to request your details are suppressed from all promotional campaigns. We won’t use your personal data for marketing purposes at all if you’ve told us not to. 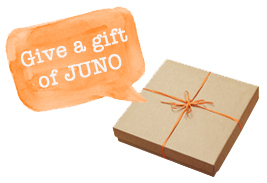 JUNO Publishing uses Google Analytics as its primary solution for tracking website visits, interactions and events. JUNO uses website analytics data to help improve the way we delivery content and online experiences to visitors. JUNO Magazine website shows advertising to users. 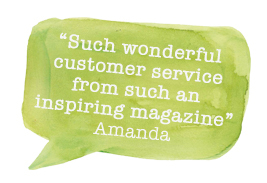 We do not use Behavioural analysis or advertising and we do not collect any data which enables tailored advertising. We use servers located in the EEA to store data. When you submit your details and in whichever country you are situated you agree to the data being transferred to the EEA and processed under the terms of Regulation (EU) 2016/679 (GDPR) including any implementing data protection legislation in the UK. If you are not in agreement please do not add your personal details on the website. 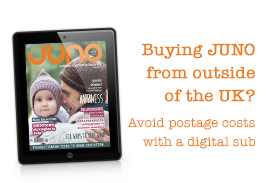 JUNO Publishing makes no representation or warranty that the content and materials on the Website are appropriate or available for use in locations outside of the United Kingdom. Those who choose to access the Website or use the services from other locations do so on their own initiative and at their own risk, and are responsible for compliance with local laws, if and to the extent applicable. JUNO Publishing’s security policies, rules and technical measures have been implemented to protect your personal information from unauthorised or improper use and from accidental loss. JUNO Publishing has formed partnerships with a variety of carefully selected companies that we share data with in order to carry out our activities such as email providers, mailing systems and accounting services. We never share or sell personal data with other organisations for their use, except where necessary to fulfil obligations such as providing a subscription gift. You will always be notified at the time of capture how the data will be used. You may, at any time, request access to the personal data that we hold which relates to you. Where we process your personal data on the basis of a legitimate you are entitled to ask us to stop processing it in that way if you feel that our continuing to do so impacts on your fundamental rights and freedoms or if you feel that those legitimate interests are not valid. For details on your rights to ask us to stop sending you various kinds of communications please contact us. If you wish to exercise any of these rights or simply wish to find out what information, if any, we hold that relates to you, you must make your request in writing by sending an email to us or a letter to The Data Protection Officer, JUNO Publishing Ltd, Elms Farm, Upper Tockington Road, Tockington, BS32 4LQ.